Recognized as the author's finest work, Into A Black Sun blurs the line between literature and journalism, drawing on his experiences as a war correspondent in Vietnam to present an immersive depiction of the war. This is not a combat novel, but rather an Asian perspective on one of the wars that shaped modern America. He tells his stories of the men and women of the land, of the conflicted turmoil of their beliefs and lives and deaths, through prose brought to life through the five senses, realizing the jungles, brothels, and camps of the Vietnam War, with the diverse people entrapped by it. And in the telling, he reveals the enormous contradictions that the war revealed in friend and foe alike. At last the sights, sounds, and smells of wartime Vietnam have been rendered by a master. 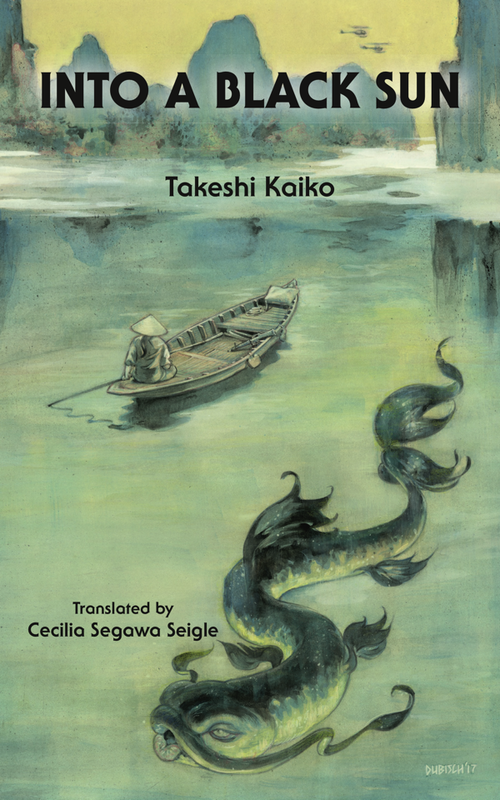 Writing from the viewpoint of a neutral Japanese journalist, Kaiko filters his tale through an idiosyncratic but deeply compassionate sensibility. No other account of Vietnam has been so vivid, so intimate, or so moral. One of the best works of fiction, or fact, that I've read about Vietnam. It revived more of that experience than I ever realized memory had retained. A novel by an uncompromising artist that turns Vietnam into a major work of art. Every writer, every soldier, had his own private Vietnam. This is the most original account that I have read. Takeshi Kaiko (開高 健; 1930 - 1989) was a popular Japanese author of late 20th century, active in novels, short stories, essays, criticism, and even television scripting. Kaikō was a teenager when World War II ended and his nation left in ruin, but matured as a writer while Japan grew into its post-War economic boom. His first published work, “Nameless City” (1953), was ignored by the media, but in 1957 he won the Akutagawa Prize with “The Naked King,” examining the pressures on school children in Japan. As a war correspondent in Vietnam with the Asahi Shimbun he was imprisoned by the Viet Cong. This book is largely based on those experiences, and the power of his writing earned the Mainichi Book Award. Cecilia Segawa Seigle is Professor Emerita of Japanese Studies in the Department of East Asian Languages and Civilizations of the University of Pennsylvania. Born in Japan, she came to the United States in 1954, receiving her B.A. from Western College for Women, M.A. from Bryn Mawr College, and Ph.D. from the University of Pennsylvania. Her first book was Yoshiwara - the Glittering World of the Japanese Courtesan, followed by numerous others including The Family by Toson Shimazaki, and Darkness in Summer and Five Thousand Runaways by Takeshi Kaikō, as well as co-translating The Temple of Dawn by Yukio Mishima with E. Dale Saunders.